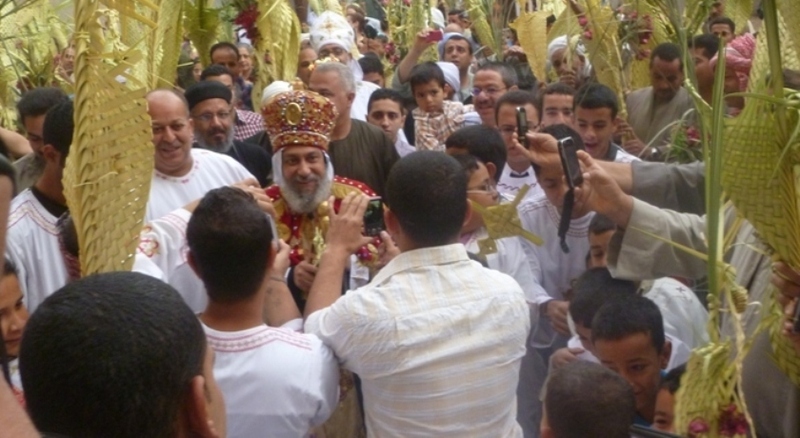 Joyous Copts raised palm leaves and shouts of welcome as Bishop Thomas, dressed in his regal red clerical robe, entered the Church of the Virgin Mary in Saragna, 325 kilometers south of Cairo. But departing from tradition he arrived by car for the first time this year. For years local Copts would first parade him through the streets of the 90 percent Christian village. For the first time in this Upper Egyptian diocese, the ancient parade on 28 April remained within church grounds to control the behavior of Christian youth. ‘It used to be that all churches would parade in the streets, but because of the pressures of the last few decades in most places it has stopped,’ explains Thomas. Saragna was the last village of his diocese to maintain the parade. 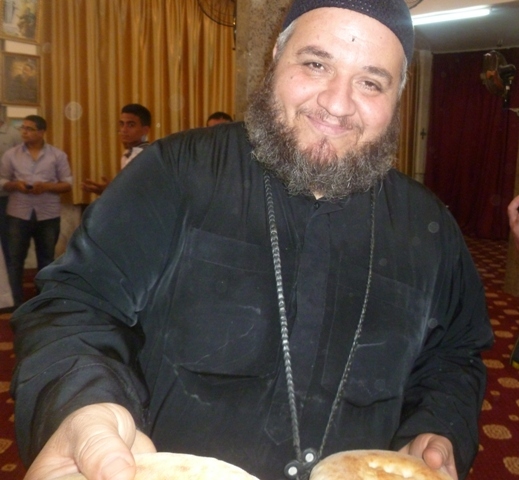 ‘We are mostly Christians here, so all is well,’ says Ramiz Ikram, the fourth generation Coptic mayor. 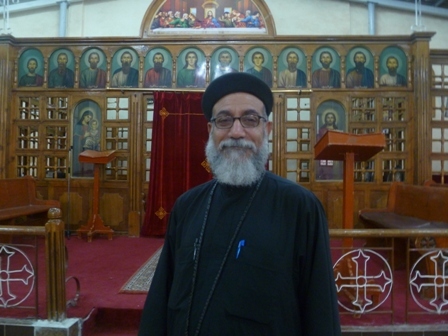 But according to Fr Kyrillos Girgis, a Cairo-trained medical doctor who has served as priest in the village for 23 years, local youth recently began shouting offensive anti-Muslim chants. He threatened to bar them from communion for a year, but eventually had to stop the procession entirely. Fr Kyrillos can also see the silver lining in the dark clouds gathering over this country. He is leading a vast expansion of the Church of the Virgin Mary, tripling its size and adding a second sanctuary. Local authorities licensed the expansion before the revolution, along with construction of new churches in the roughly 50 percent Christian villages of Titaliya and Manshia. Outside of his diocese, however, other bishops are less risk averse. The 22,000-strong village of Bayadia which is more than 90 percent Christian, had a single church for six different denominations, despite many applications for building permission. His solution was illegal construction of four more churches. Other denominations followed suit, and Bayadia now has fourteen churches. In the nearby village of Dair Abu Hinnis which is 100 percent Christian, Fr Bemwa boasts of an increase of from five to ten churches since the revolution. Bishop Thomas explains it can take up to fifteen years to gain a church building permit, whether from bureaucracy or discrimination. Many priests take matters into their own hands. With the collapse of government, this is increasingly the norm in Egypt. The Ministry of Housing and Local Development announced recently the existence of more than five million unlicensed buildings. A BBC report earlier this year documented the post-revolutionary surge in building, including many that have already collapsed. But when Christians attempt such illegal church construction in Muslim majority villages, there is often resistance. Sometimes this is the case even when permits exist. 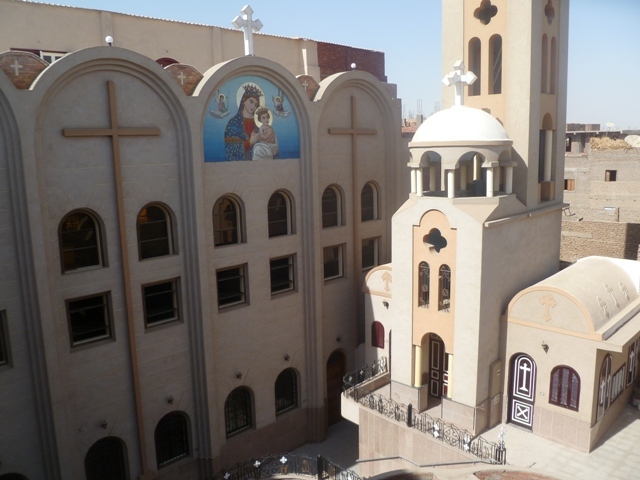 AWR investigated an attack on a church in Aswan in October 2011, and a February 2013 attack in Fayyoum. In both cases Muslims had been offended when local houses used for worship were expanded or renovated. But on Palm Sunday, Egyptian Copts celebrate the success of a community which has maintained Christian roots since the visit of the Holy Family fleeing from Palestine. The faithful flock to pilgrimage sites, such as the rural Serabamoun Monastery, believed by local Christians to house a tree which provided shade to Jesus and Mary. Fr Seraphim, Coptic priest in the nearby city of Daryut, said, ‘Christians in Egypt have seen more persecution in the past than we see now.